There are primarily 3 main updates to improve the user experience. 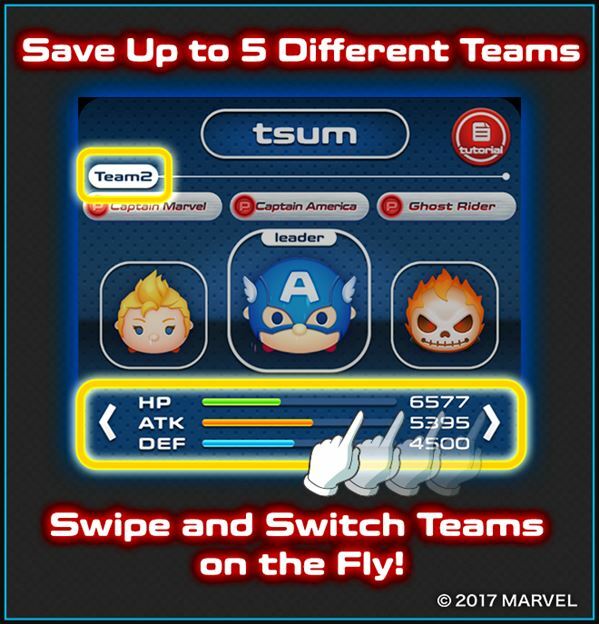 The first change is to allow you to create up to 5 teams that are easy to switch between. This is great as it allows you to define different teams for different battles or for missions and not have to switch all the characters manually when you want to do something different. 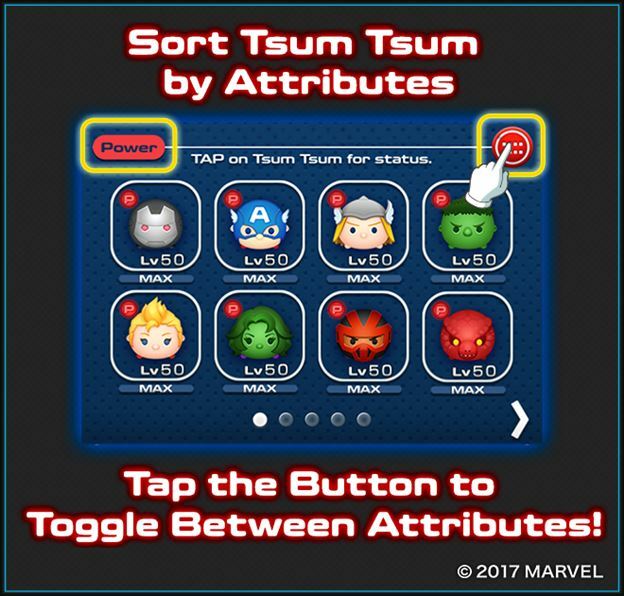 The second allows you to filter your character list to only show your Tsums of a particular attribute (Power, Speed, Blast). The third change adds new missions for villain battles. Now every 5 successful battle against a villain will get you 5 Yellow Iso-8 and you will also get something for every 10 boxes you collect for a villain. For 10 boxes you get 2 Orbs and for 20 boxes you get 3000 coins (not sure what the prizes are after that are yet). This is great as it gives you a way to keep earning Yellow ISO once you have completed all the stages.